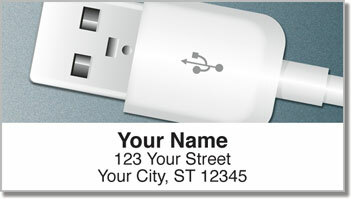 Here's a unique set of return address labels for techies! 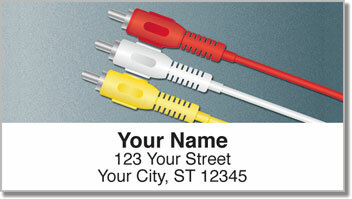 Four attractive labels feature different kinds of media cables and connectors. Of course, even the most technologically savvy among us do things the old-fashioned way every now and then. When you're sending out snail mail, you'll appreciate this simple solution to filling out envelopes. Instead of scribbling your return address on every letter or package you put in the mail, just stick on one of these self-adhesive labels. 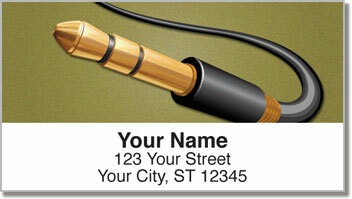 You can also use this product to mark all sorts of personal property as your own. 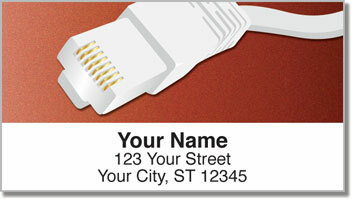 Order Plug It In Address Labels for yourself today! You can also get this design in a set of matching personal checks.